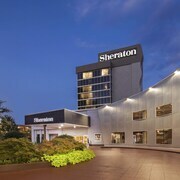 Located in Downtown Atlanta, this hotel is within a 10-minute walk of Georgia Aquarium and World of Coca Cola. Centennial Olympic Park and State Farm Arena are also within 15 minutes. Civic Center Station is 14 minutes by foot and Dome-GWCC-Philips Arena-CNN Center Station is 16 minutes. 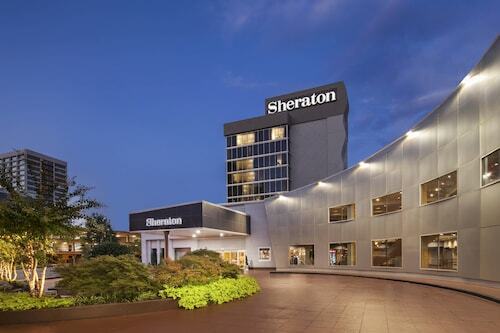 This Atlanta hotel is in the central business district, within 7 blocks of Centennial Olympic Park, World of Coca-Cola, and the Georgia Aquarium. The property is directly across from Georgia State University and in the vicinity of the Mercedes-Benz Stadium, Atlanta Airport, Georgia World Congress Center, AmericasMart, and Phillips Arena. 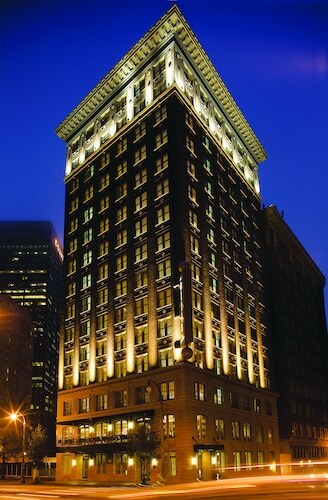 The Ellis Hotel on Peachtree is in downtown Atlanta, within 5 blocks of Georgia Aquarium, CNN Center, World of Coca Cola and College Football Hall of Fame. This smoke-free Atlanta hotel is in the heart of the Luckie Marietta district next to the Georgia Aquarium and the World of Coca-Cola. The Georgia Dome, CNN Center, Georgia World Congress Center, and Centennial Olympic Park are within 2 blocks. 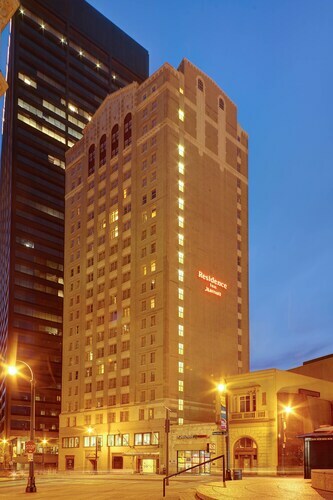 Located in Downtown Atlanta, this hotel is within a 10-minute walk of AmericasMart, Centennial Olympic Park, and World of Coca Cola. Tabernacle and Children's Museum of Atlanta are also within 10 minutes. Peachtree Center Station is only a 2-minute walk and Civic Center Station is 8 minutes. 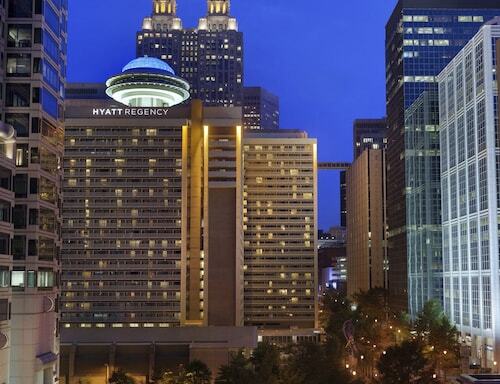 Positioned in the heart of downtown Atlanta, this hotel is conveniently located near renowned attractions & premier venues, including the Georgia World Congress Center. 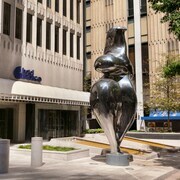 Something's always new in Downtown Atlanta. Make get-a-way plans and discover the Centennial Park District right outside the doors. Enjoy all the attractions within the District that include the Georgia Aquarium with its new Sea Lion exhibit; the World of Coca-Cola museum; the new Mercedes-Benz Stadium, CNN Center, and of course Centennial Olympic Park. Take a ride on Skyview Atlanta, a 20-story Ferris wheel or visit Atlanta’s newest attraction, The College Football Hall of Fame. A shrine to the greatest to ever play or coach the game, it sits just across the park. All in one neighborhood, 25 restaurants and more than 20 attractions, the Centennial Park District. 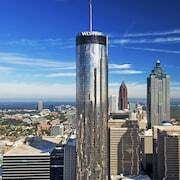 How Much is a Hotel Room in Downtown Atlanta? 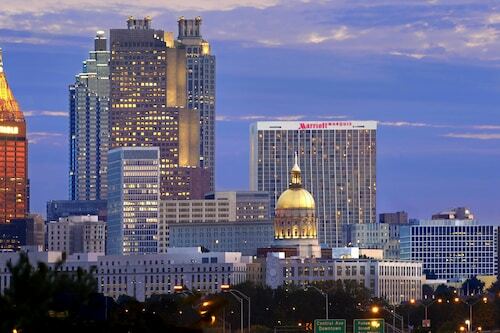 Hotels in Downtown Atlanta start at $92 per night. Prices and availability subject to change. Additional terms may apply. There's a reason that people call this place Hotlanta—Atlanta, Georgia, is a town that's got it all. 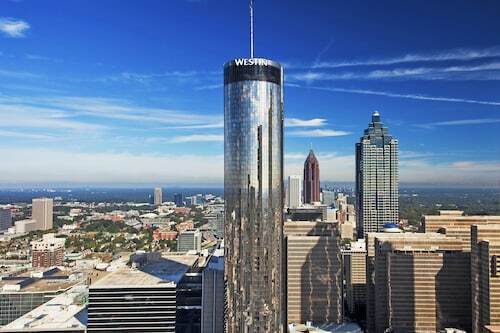 From the bucolic peacefulness of Piedmont Park to the thriving bustle of internationally famed CNN Center, Atlanta truly is a metropolis that's graced with small-town Southern charm. In just a single afternoon in Atlanta, you can time-travel from an authentic 1880s village to an ultramodern television news agency. 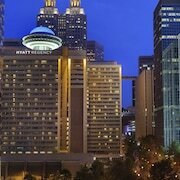 Just be sure to stay at one of the many Downtown Atlanta hotels so you'll be close to all the action. 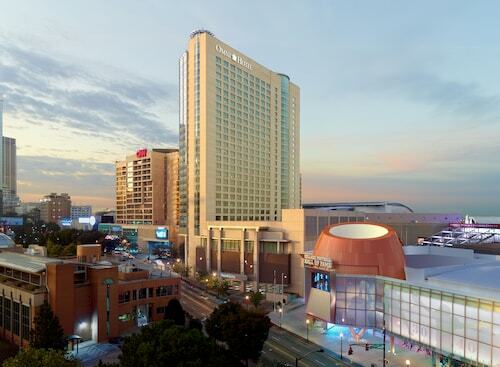 Your hotel near downtown Atlanta puts you within easy reach of Georgia Aquarium, the largest aquarium in the entire Western Hemisphere. This astonishing, 13-acre downtown attraction boasts tens of thousands of marine animals swimming in 10 million gallons of water. While you're downtown, hop on a MARTA train over to the CNN Center, the global headquarters of CNN News, where you can take the tour and learn how television news is produced. Ready for some beauty? The world's largest granite mountain is just half an hour away at Stone Mountain Park, where you can ride a historic train, visit Crossroads and a 19th-century village, and gape at all the scenic beauty. You can be back in Atlanta just in time for dinner. No matter where you go in Atlanta, you'll find someplace nearby that serves authentic Southern-style fried chicken and waffles, fried oysters, hush puppies, and Georgia pecan pie. Other regional specialties include Brunswick stew (a favorite at barbecue eateries) and homemade cornbread. 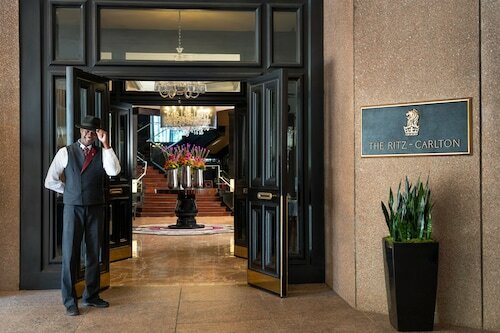 Even the most elegant hotels in Downtown Atlanta don't shy away from down-home Southern cooking, but with a gourmet twist—such as grits with Gruyere cheese and panko-crusted fried catfish. 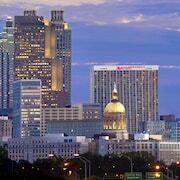 Ready to book a vacation package to Atlanta? 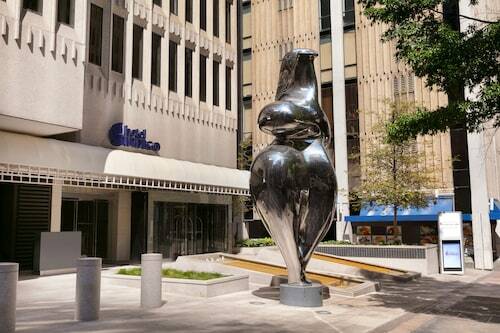 With the Travelocity Price Guarantee, Travelocity will match a lower price and refund the difference, so you can find flights to Atlanta to suit your budget. This hotel was the best price for an immediately downtown location the weekend we stayed. The facilities were decent and the staff was friendly and helpful - not only to us but to anyone whether on the phone or in-person. I love everything about my stay but the patio door don’t open please repair so someone else can enjoy the view of Atlanta skyline from outside.